Kalima’s new group K-18 (in Finnish shortening of “a film not suitable for persons under 18 years”) is situated between avantgarde and free improvisation. The band’s new program “Some Kubricks of Blood” finds its innovation from the films of the past film director Stanley Kubrick. The musicians (Kalima, Mikko Innanen – sax, Teppo Hauta-Aho – Bass, Veli Kujala – Quarter Tone Accordion) are known for their virtuosic and high-quality improvisational playing are looking for new sounds by using micro-intervals and contrasts between acoustic and electric instruments. 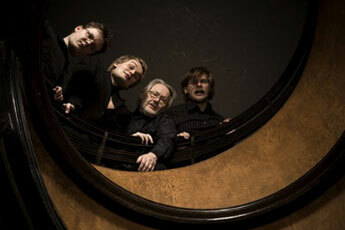 The debut Cd was released by Tum Records in November 2010 and is a candidate for Finnish Jazz Emma Prize.